Osteoarthritis (OA) is a progressive, chronic disease that causes the degeneration of joints, resulting in pain, stiffness and lameness in performance and pleasure horses of any age. 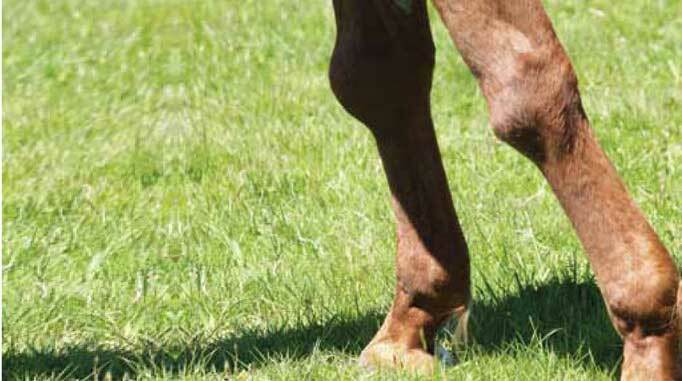 This leading cause of equine lameness mainly affects the leg joints – hock, fetlock, pastern, coffin, stifle and knee – but can also involve the back and neck. It can result from a single traumatic incident, but it is more likely to be brought about by repetitive injurious incidents or mechanical strain. Essentially, OA is a breakdown in the cartilage of a synovial joint (i.e. a freely-moving joint). A synovial joint consists of the ends of two bones that are covered by smooth, supple articular cartilage, a connective tissue that allows the joint to move without friction while distributing pressure over the joint surface and acting as a shock absorber. The joint is covered by the capsule, a hard outer layer that connects the bones and provides protection. The interior lining of the joint capsule, the synovial membrane, produces synovial fluid that fills the joint capsule to provide lubrication and nutrients to the joint. Because articular cartilage has no blood or nerve supply, it is unable to heal or regenerate. It is also susceptible to break down under increases in joint stress. When cartilage begins to break down, inflammation sets in as a natural healing response. The synovial fluid alters in composition as a result, and excess fluids enter the joint. Without its normal lubrication, the cartilage degenerates even further. The bone is eventually exposed, becomes damaged and tries to heal itself by producing more bone. The ends become thickened and the joint deforms. If an owner suspects osteoarthritis in a joint, a veterinarian must be consulted to make a diagnosis and plan a treatment strategy. The vet will first do a lameness evaluation that could include observing the horse at a walk and trot on a lunge line, in-hand, or under saddle; flexion tests; and nerve and joint blocks in which a local anaesthetic is injected to desensitize an area and isolate localized pain. The evolution of other diagnostic imaging technologies have enabled veterinarians to obtain more detailed evidence of osteoarthritis and can indicate its development at that critical early stage. Ultrasound detects fluid in the joint and can also be used to evaluate some bone changes. It’s now possible to detect articular cartilage changes on magnetic resonance imaging (MRI); however, referral to a specialized centre is necessary. Nuclear scintigraphy (bone scans) can pinpoint the joint involved, but will not provide specific information on the disease stage or joint damage. Computer tomography (CT) scans can provide information on the bone changes and this technology is being assessed to evaluate cartilage. Arthroscopic evaluation of the joint provides a valuable assessment of the articular cartilage surface. However, general anesthesia is required and it is an invasive process. The main treatment goals are pain reduction and the minimization or prevention of further deterioration by controlling inflammation. They are most effective when implemented early in the onset of OA. “Probably the most important thing is weight control,” said Laverty. “If a horse is overweight, there are much more forces going down the limb.” Also, exercise has been repeatedly shown in human studies to decrease pain, especially before the disease is advanced, and this is likely to apply to horses, too. “So, rather than locking your horse up in the early stages, it’s much better to give the horse gentle exercise. Keep the horse moving,” Laverty recommended. Non-steroidal anti-inflammatory drugs (NSAIDs), such as the old standby phenylbutazone (bute), as well as flunixin meglumine, ketoprofen, naproxen, and carprofen, have been used for decades to reduce the pain, swelling, and stiffness of osteoarthritis. They are most commonly administered orally or by injection. Over time, their use can cause major side-effects, however, including ulcers, kidney damage, and colic, particularly in older horses. Although more expensive, some of the newer NSAIDs show promise in providing the benefits without as many side-effects of more traditional products. Firocoxib directly targets COX-2, an enzyme that is responsible for pain and inflammation. This targeted action is said to help reduce systemic side-effects. Available as an oral paste in the US, firocoxib is prescribed in Canada in a pill format called Previcox. Another option for localized OA is the topical cream diclofenac sodium (brand name Volteren), which penetrates through the skin into the joint and can be applied by the horse owner themselves on a daily basis, if necessary. Other treatments are administered intra-articularly (directly into the affected joint), and must be given by an experienced veterinarian in a sterile environment. 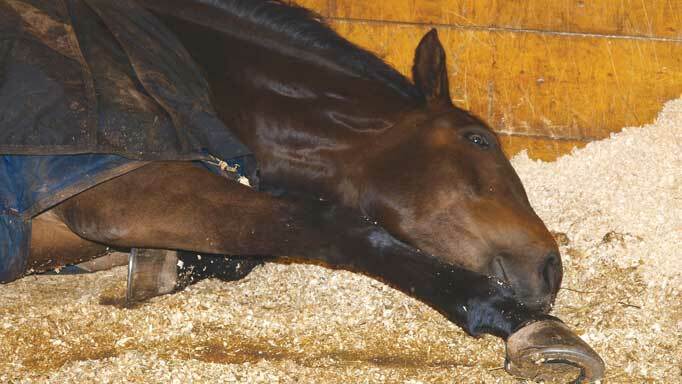 IRAP, the acronym for interleukin-1 receptor antagonist protein, is a treatment that’s actually derived from the horse itself. 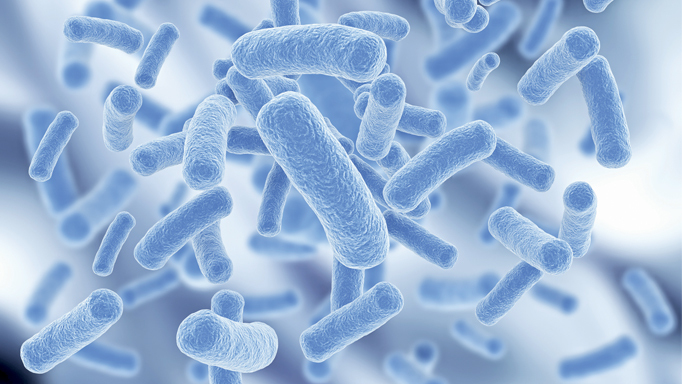 Interleukin-1 is secreted by many types of cells to attack other damaged cells and infection. It can sometimes be detrimental to joint healing, because it promotes inflammation and deterioration of joint tissues. IRAP blocks interleukin-1 from causing this damage. To obtain the serum, blood is drawn with a commercial syringe containing glass beads that stimulate production of IRAP and other proteins. It is then incubated and processed for 24 hours before injection. 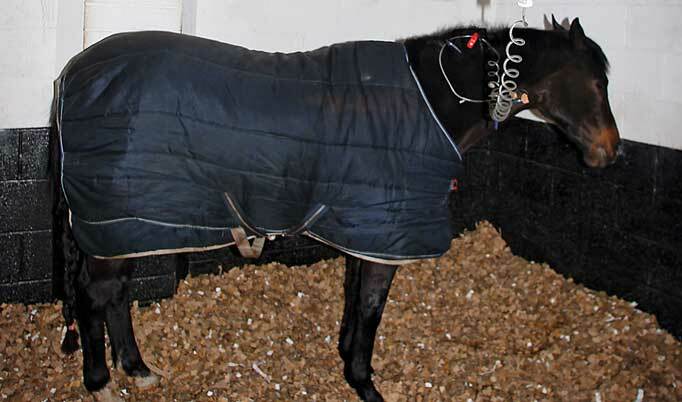 Because IRAP is produced by the horse and isn’t officially a “medication,” its use is popular among competitors seeking to treat with non-prohibited substances. However, at about $600 per joint/treatment, it’s an expensive option. Another intra-articular treatment, hyaluronic acid (HA), has been used in horses for around 30 years. It is a natural component of synovial fluid, which lubricates articular cartilage. With HA treatment, a gel-like substance is injected to decrease friction within the joint, reducing pain and inflammation. It has also been shown to be effective when administered intravenously, which is particularly beneficial when more than one joint is affected. Hyaluronate sodium (Legend®) is available in IV or IA injectable form and has been shown to improve joint function in the knees and fetlocks by healing inflamed synovium and restoring the visco-elastic properties of the joint fluid. Polysulfated glycosaminoglycan (PSGAG), better known by its commercial name, Adequan®, used to be given intra-articularly, but now is often administered in the muscle. It is similar to compounds found in cartilage and has been shown to reduce inflammation. Pentosan polysulfate (PPS) was originally an injectable canine arthritis treatment that was later approved for humans. Eventually people started using it on horses when researchers noticed some beneficial therapeutic effects to the quality of synovial fluid when injected IM. PentAussie™ Equine (available by prescription only) is a patented PPS and n-acetyl glucosamine (NAG) formulation designed to replace synovial fluid lost during arthroscopy which is also gaining popularity for easing OA-related joint inflammation. There are hundreds of nutritional supplements, or nutraceuticals, geared toward managing OA. Some of the more prevalent ingredients in these blends include glucosamine, chondroitin sulfate and methylsulfonylmethane (MSM). Other mixes include omega 3 fatty acids, avocado-soybean unsaponifiable extracts, super oxide dismutase (SOD), yucca, devil’s claw, garlic, vitamin C … and the list goes on. Still hotly debated as to their efficacy, nutraceuticals remain unregulated. Laverty warns horse owners should be wary of false claims made by manufacturers. For example, an unpublished study she undertook in her laboratory because she was “frustrated” by the type of advertising being made about glucosamine for use in humans and horses showed that some products claiming to contain the ingredient didn’t have glucosamine in them at all. She advises using products from reputable companies, and looking for a certificate that states that the contents have been analyzed. Is an Osteoarthritis Pain-Free Future Possible? Osteoarthritis is one of the most-studied equine conditions, partly because horses are excellent models for human research with their similar joint anatomy and response to treatments, but also because of the disease’s prevalence among athletic horses. Simply put, osteoarthritis robs the horse industry of millions in economic benefits. Researchers are investigating various therapies that might not only change the way the disease is treated, but could eventually be able to reverse or stop osteoarthritis in its tracks. One of the main areas of study includes regenerative medicine – the process of using the body’s ability to heal itself by producing living tissues that repair or replace tissue or organ function. While these biotechnologies are increasingly being used by veterinarians to treat OA, it is yet to be proven whether they can offer a cure. Dr. Sheila Laverty, chief of equine surgery at the University of Montreal’s Faculty of Veterinary Medicine, has done a great deal of research on both human and equine OA and is a member of the Canadian Arthritis Network, which links researchers from various fields across the country. Laverty feels that stem cell therapy, in particular, shows promise. Stem cells are replacement cells found in many adult tissues and embryos that can be readily divided and manipulated into specific cells that are then transplanted to replace damaged tissue, or potentially orchestrate repair processes. Harvested from the horse’s own fat or bone marrow tissue, stem cells can produce many types of growth factors, which are proteins that cause cells to grow, multiply and heal, as well as cytokines, chemicals that attack infections and damaged cells. The ultimate hope is that when stem cells are injected into a joint, new cartilage will be created. Another regenerative therapy is platelet-rich plasma (PRP), in which blood is taken from the horse and processed to extract a component that contains platelets, small cell parts that contain growth factors which promote healing and contribute to tissue repair. The processed serum containing the platelets is injected into or around the joint, where the growth factors are released. Used mainly in bone and tendon repair so far, no controlled studies have been done for its effectiveness in halting or reversing osteoarthritis. Researchers at the Texas A&M College of Veterinary Medicine and Biomedical Sciences recently had good trial results for treating early-stage OA by combining dual-axis gene therapy and mesenchymal stem cells (MSCs), injected intra-articularly. Using 13 mature Thoroughbreds with induced early-stage OA in the knee, the horses receiving MSC and gene therapy injections showed significant improvement in range of motion, reduced joint swelling and less synovial fibrosis (scarring) compared to the control group. Further testing is required, as researchers acknowledged that it is possible that the stem cells were mainly responsible for the improvement, not the addition of gene therapy. 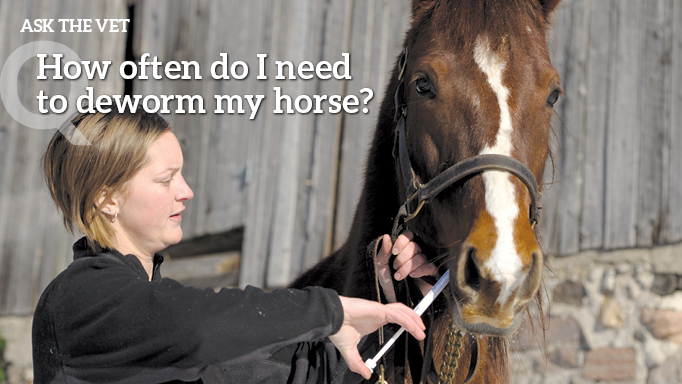 How Often do I Need to Deworm My Horse? Targeted deworming practices to prevent drug resistance.